Since the release of the iPhone 4, I have been drooling to get one. Their new Retina Display with an impressive 326 ppi screen means that all of the current images a user sees on the web will start to get pixelated once they zoomed-in. 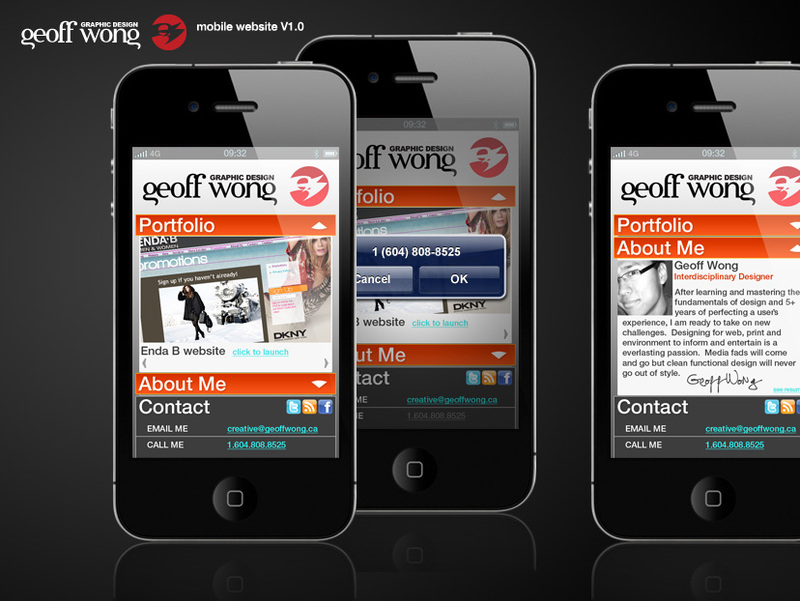 I decided to make my portfolio website iPhone 4 compatible. Here is a mockup for now. When mobile web first came out, WAP was the way to access the internet. The primal idea was that a user accessing the mobile web was just going to see a simpler version of a web browser. Now that smart phones like the iPhone have become a mainstream device, touch navigation will be a new focus for designers when designing the mobile version of any website. Mobile sites and apps will require intuitive and innovative navigational design as on-the-go users demand quick and easy access to information. My mobile site would require the user to just tap to expand and contract disclosure panels to reveal various pages, and side swiping to scroll through the portfolio. More working concept renderings to come.